We understand that your body is one of a kind and deserves a one of a kind workout. You won’t ever get the same workout twice, and that’s a timeless recipe for results. We are here to help you attain strength, flexibility, and poise—supplemented by confidence, conviction, and a disciplined focus that’s necessary to thrive in a fast-paced world. We will transform you into the principal dancer of your own life’s ballet. And that’s a beautiful thing. Come together with friends, clients and staff to celebrate your successes in this year's Spring Makeover Challenge! Join us on Friday, May 10th at 6:30pm for wine, appetizers and the announcement of our challenge winner! 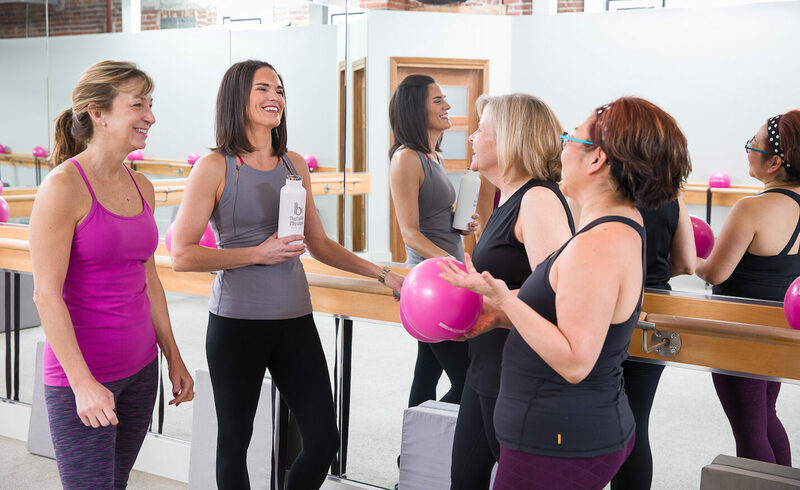 Our expertly curated streaming barre classes are designed to go everywhere you do. Begin today and get your first 14 days free with code LIDOCLIENT19! Then, subscribe for just $24.99/month. New workouts are added weekly! The Ballet Physique is thrilled to welcome Nichole Hicks back to our elite team of barre-tenders! Experience her class (and her charm!) firsthand during a FREE class on Friday, April 26th from 12:00-1:00pm. We hope to see you there! Leap into your new barre regimen with our new client intro offers. Choose between our 2-for-1 deal or go all in with our unlimited month for $79. We are confident that you’ll be a fan of our tailored approach, luxurious studio, and splendid instructors. If you're worried about not looking the part—well, forget about tutus and toe shoes. Our dancers are athletes, and strength comes in many shapes and sizes. Unlimited classes with no commitment. Cancel any time. Enjoy exclusive retail discounts and monthly guest passes. Breaks down to our lowest rate of only $126.50 per month. *Monthly auto–renewal on a credit or debit card. 12-month membership requires an annual commitment.